Okay, let me take a deep breath and resolve this not-living-in-the-present of gardening. It’s not really that bad. I figure out what has to be done — a written schedule updated as necessary from previous seasons’ notes is crucial for this — and and then immerse myself in the all-present of doing it. And it’s not all for end results; there’s the joy and satisfaction of watching plants grow and come into fruition and respond to my ministrations. In some cases, the longer the period of deferred gratification, the greater the satisfaction. 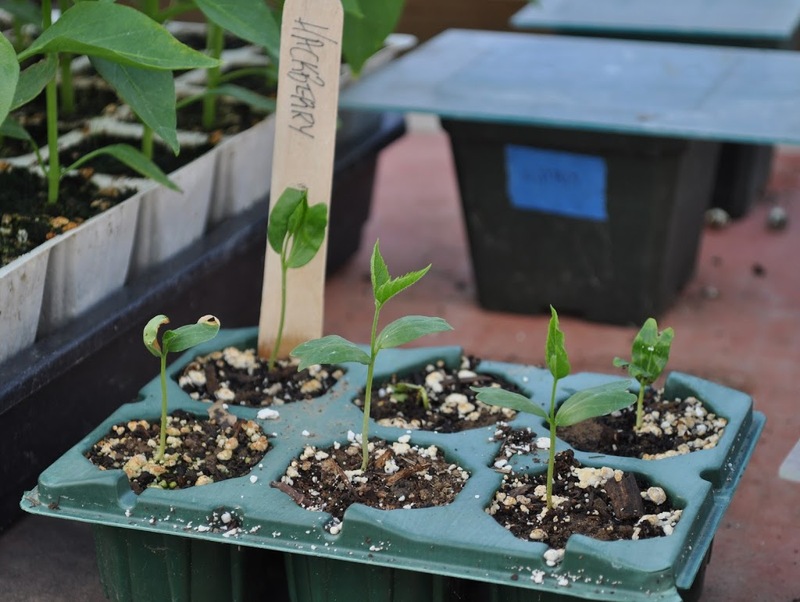 I wrote back in February about the excitement of seeing white roots of some yellowhorn tree seeds that were sprouting in potting soil in a plastic bag in my refrigerator. I planted all those in pots. But also, in that plastic bag, were some hackberry seeds I had collected last autumn. They were doing nothing. Nothing obvious, that is. temperatures that spur seeds — and plant growth, for that matter — awake are between about 30 and 45°F. That’s why yellowhorn seeds awoke back in February. Outdoors, the requisite number of hours in that temperature range might not have accumulated until around now. Hackberry seeds evidently need to experience more chilly hours before they’re convinced to wake up, which happened last week. I potted up the delicate little seedlings. shadows reminiscent of the lunar landscape. Perhaps by then the plants will be old enough to bear pea-sized, date-flavored fruits. Not that the fruits offer much more than a nibble; within each pea-sized fruit is an almost pea-sized seed, leaving just a thin covering of sweet flesh. Sometimes — usually — it’s best to let Mother Nature do the planting. 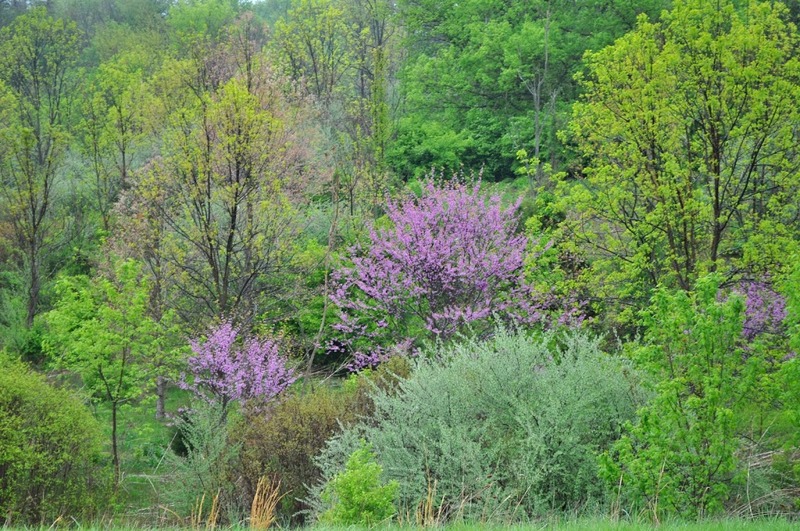 On a recent drive to West Virginia, where the spring season is about a week ahead of here, the mountainsides were awash in redbud bloom. Usually, I not a fan of redbud. It’s the color. Pinkish purple. Yuk, and too flamboyant. At least, to me, from isolated trees that blare out their color from front or back yards. unfolding soft-colored, pale green blossoms and young leaves. On a shorter time scale, I see Ms. Nature has also done a nice planting of cilantro. In the couple of beds where cilantro stood last year (from self-sown seeds of the previous year), small plants are now ready for harvest. And I didn’t even have to think ahead to plant them. 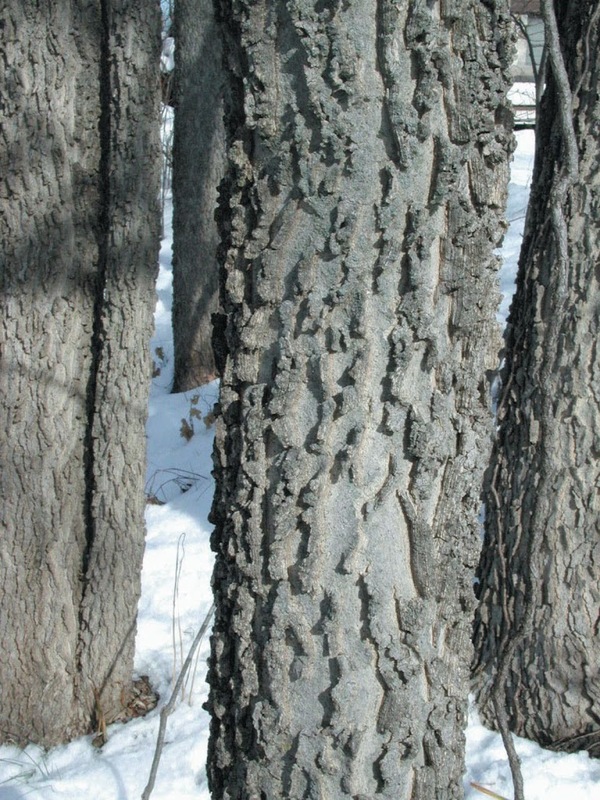 This entry was posted in Uncategorized and tagged Celtis occidentalis, Cercis canadensis, hackberry, redbud. Bookmark the permalink. Trackbacks are closed, but you can post a comment. « Rational in Spring? No. I dislike redbud for the most part too; difficult to combine with other plants. I love the melon in the compost pile idea, trying that idea.